On February 7, 2018 celebrity models walked the runway at Pier 59 kicking off NYFW Fall Winter 2018. They had all come together for the second annual Blue Jacket show to benefit the Prostate Cancer Foundation. The Blue Jacket Fashion Show was founded by designer Frederick Anderson and Laura Miller. Prostate cancer is the most common non-skin cancer in America, and it is the leading cancerous-related cause of death among men. The Blue Jacket show is part of a national campaign to raise the awareness and the benefit runway show was a done in partnership with Johnson & Johnson. 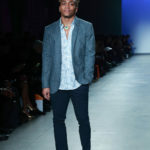 Volunteering as runway models was a great collection of celebrities among them; Don Lemon (CNN), Jeremy Carter (Empire), science educator Bill Nye, TV personality Dr. OZ, and Nigel Barker former host of America’s Next Top Model, and Buster Skrine (NY Jets). Comedian Judy Gold served as Master of Ceremonies. 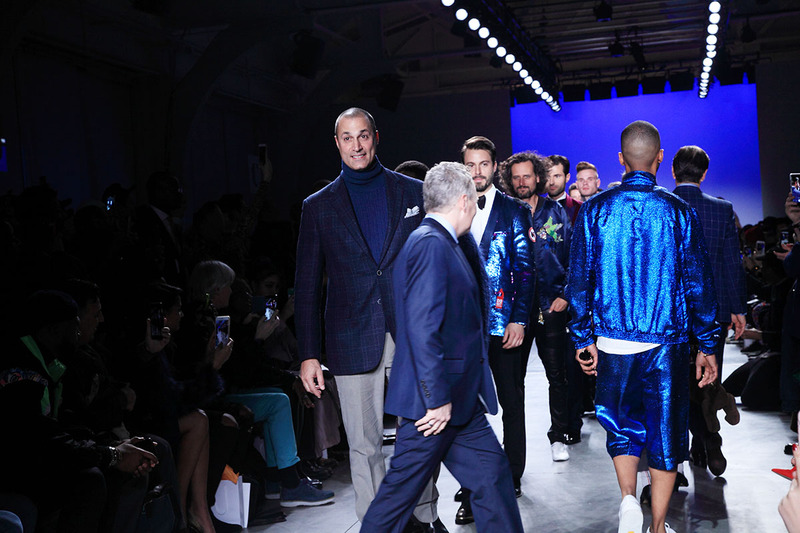 Jackets worn in the show were donated by top designers including; Thom Browne, Michael Kors, Son Jung Wan, John Varvatos, Theory, Bruno Magli, Ryan Seacrest, Duckie Brown, Edwige Pierre, Geoffrey Beene, Nick Graham, Gustavo Moscoso, Haspel, Todd Snyder, Stephen Ferber, Joseph Abboud, and Greg Norman. The celebs had a great time walking the runway and took full advantage of their brief stint as fashion models. It is commendable that designers continue to use their platforms to highlight important issues and causes. We are already looking forward to the next Blue Jacket Show.